A hunger strike of the Kurdish political prisoners in the central prison in Urmiye, sentencing practices and oppressive rule of the prison regime entered the 16th day, instead of investigation and authorities requests, the strikers had been threatened with execution if the prisoners continued on their hunger strike. Today is the 16th day of the Kurdish political prisoner’s hunger strike in the central prison of Urmiye. 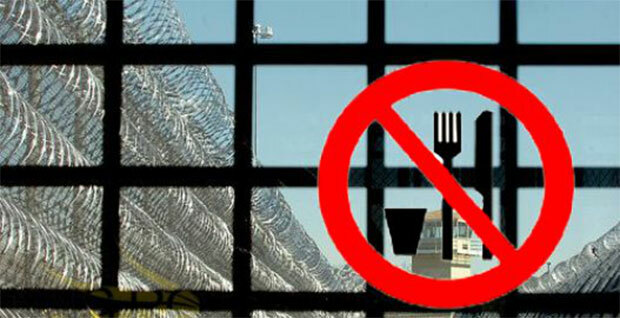 The number of strikers in this unit prison is 27 people, and formerly a prisoner of this sum was exiled to Mahabad, and 10 of the strikers are sentenced to death, therefore, the authorities have used this as leverage. Firat News Agency announced that 50 political prisoners that are being held in the provisions public crimes prison. The transfer of some political prisoners to other prisons is a punishment if they started a hunger strike. The strikers insist a full acceptance of their demands to the authorities to continue the strike. In this regard, political prisoners of Sine (Sanandaj), Rajaei Shar-e Karaj and Zahedan, along with dozens of political and civil activists have issued statements supporting the strike of Urmiye political prisoners, but the international community and human rights organizations have not yet shown a response to this issue.